Winter can be a difficult time of year to dress for. The air is colder, the precipitation is unpredictable…and that static vs. hair struggle is super real. 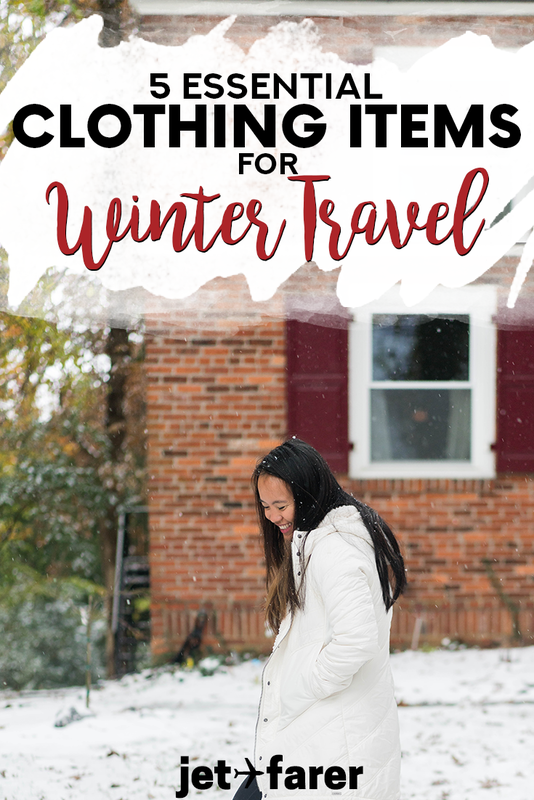 But, after cleaning out my closet and getting rid of a BUNCH of junk clothing that I knew I’d never use again, I finally found my ideal winter capsule wardrobe for travel. Yup, you heard that right: I LITERALLY have less than 30 pieces of clothing that I’m planning to use for the whole winter. Honestly, it was really hard to choose the right mix of clothing items to keep and to donate. In this closet revamp, I was really focused on sustainable clothing brands that are both stylish and durable. 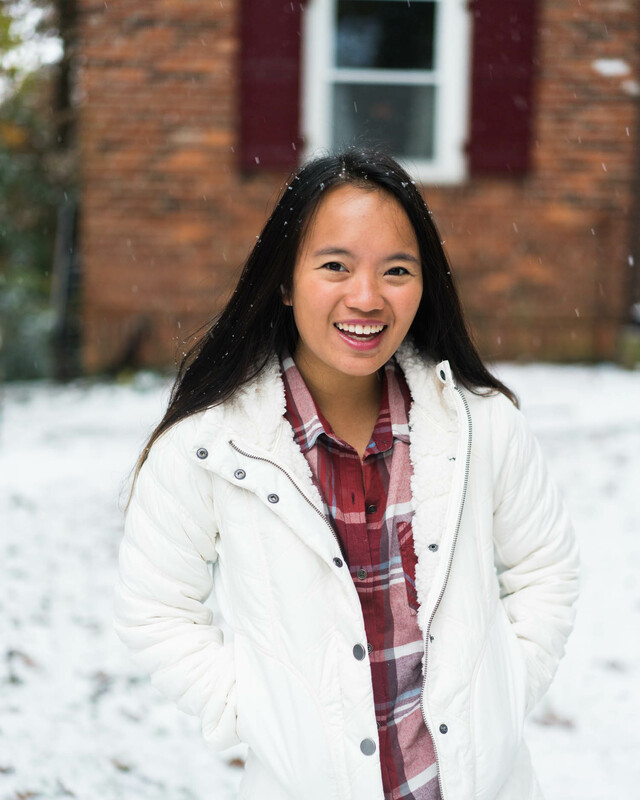 So, to help build up this wardrobe, I worked with PrAna to to try out (and identify) a few of the central pieces to add to my winter travel collection. In this post, I’ll be sharing some of my absolute favorites! What Are Sustainable Clothes, and Why Buy Them? Sustainable clothes operate much like other sustainable items: they’re made OF sustainable, organic (or recycled) materials, and made BY people who are working in humane conditions. Those things shouldn’t even be an issue, but unfortunately in our world of consumerism and fast-fashion, the end products we see aren’t always telling the whole story. You all know I’ve worked with sustainable clothing companies in the past, whose missions I really respect and admire. PrAna is a company I’ve purchased clothes from for years because I really love their mission to promote fair working conditions, sustainable materials, and transparent business practices. So, of course, as I was looking into sustainable clothing options for winter travel, I ordered a bunch of PrAna stuff to fill my closet. I’ve also teamed up with them to show you some of their coziest winter items that I am now wearing all the time. Because PrAna and Jetfarer both love sustainable clothing SO much, we’ve ALSO teamed up to give you 15% off your next PrAna purchase. Just use the coupon code WPKAF18 when you’re checking out and you can save some moolah for all those additional winter trips I’m sure you’re planning right now! I’ve owned parkas in the past, but I’ve never really worn them because they’re bulky AF and I can’t really move around in them. However, I recently got my hands on a Diva Long Jacket and…guys…it’s AMAZING. Lined with ultra soft micro sherpa material, wearing it is like wrapping yourself in a cozy blanket before heading out in the frigid cold. It’s a jacket AND a fluffy cloud, all in one. It almost makes wintertime sound…not that bad, right? The Diva Long Jacket is perfect for travel because, unlike many parka-style winter coat, it’s very lightweight. This means that you wont accidentally whack someone with in on an airplane, and you won’t have to carry it around painstakingly when you’re not wearing it. It actually folds up small enough to fit in my day pack or weekender bag without any issues! Lastly, I love that the Diva Long Jacket doesn’t go all the way down to my ankles. As a petite woman, I much prefer a cut that hits mid-thigh, and the Diva does just that! 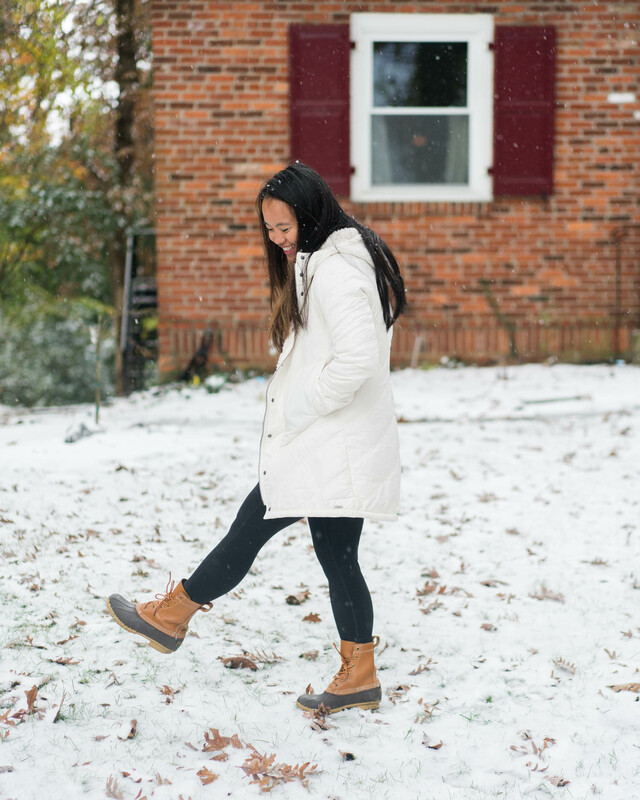 Paired with some riding boots, leggings or jeans, and a few warm layers underneath, it’s literally the perfect winter jacket to wear on the cold, windy days. Oh you know, just me being warm and happy in my Diva Long Jacket! Fall and winter are the seasons of PLAID, and I love being able to sport my beloved deep reds, navy blues, and burnt oranges (instead of my usual psychedelic colors!). I added a red Percy Top to my winter travel wardrobe because it’s a bold but versatile top for use in both casual and more business-like situations. It’s a classic button-down with a really light feel, perfect for tucking into a skirt or wearing under a cozy sweater. 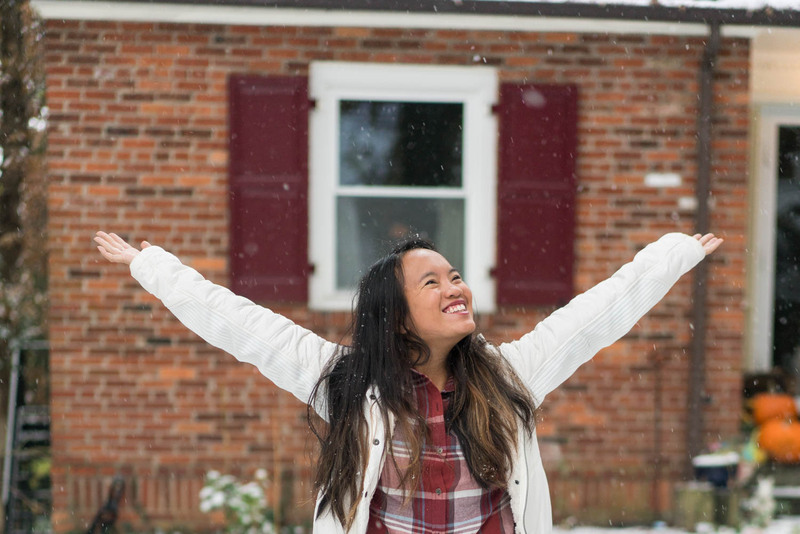 I love the Percy Top for winter travel specifically because it’s super, duper light. Unlike bulkier flannel shirts (which I also enjoy), this top takes up very little space and is made of breathable 100% organic cotton. Of course, this means it’s not *quite* as thick as a classic flannel, but it can easily be paired with a long sleeve thermal or a sweater for extra warmth. Layering is awesome for me, so I really appreciate how lightweight and travel-friendly this piece is. 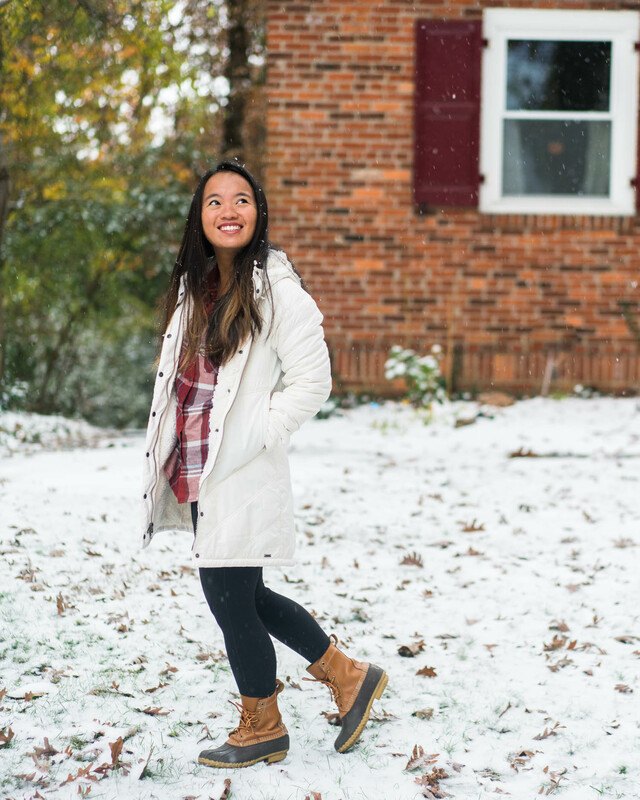 The plaid Percy top makes for a perfect winter layering piece. Personally, I think every winter wardrobe requires at least one pair of leggings. While jeans are warm and fantastic for winter, they often are hard to get in and out of or wear as a layer. Cue the Transform Legging: the perfect pant-like legging that you can wear literally. everywhere. For me, the Transform Leggings are a year-round travel staple. I wear them on planes, at the beach, and on long hikes in the mountains. They dry quickly, stretch in every direction, but also provide enough compression to feel like true adventure-ready pants. I’m literally wearing them as I type this post. That’s how much I love the Transform leggings. Because I’m so short, I buy the Capri version and they fit me like 7/8 or normal length pants. But if you’re a normal size, the full-length ones are a fantastic fit! I basically live in my Transform leggings. Like, several times a week. Revere Tank – I LOVE this tank top. I have it in 3 colors (bone, gray, and black) because I love it so much. It’s light, versatile, sweat wicking, and perfect for wearing under anything at all. The Revere line also has a t-shirt and a long sleeve available. Foundation V-Neck – The perfect tee for wearing in the warm weather or lounging around at home. I’ve pretty much hit my limit on winter sweater tops, but I do have space for just one more. As soon as I’m ready to purchase a new top, I’ll definitely be getting the Frosene Top in Mulled Wine (red). Why? Because it looks SO. FREAKING. COZY. and, since I work from home most of the time, I think the Frosene Top would be a great casual/dressy option to add to my collection. When I’m ready to add a new pair of pants to my wardrobe, the Essex Pant will definitely be it. They’re airy, form fitting, and look like hiking pants but…are actually stylish… I love the slim fit of these pants and the fact that they come in colors other than the generic black/gray. Currently, I have two pairs of leggings (one Transform crop!) and two pairs of jeans in my winter travel wardrobe, so these pants would make an excellent addition. I’m really glad I cleared out my winter wardrobe to make room for new, stylish, central pieces that I can wear basically everywhere. And, I’m also thrilled to begin adding very intentional pieces to it from sustainable manufacturers like PrAna. If you’re thinking of revamping your wardrobe to be more minimalistic and purposeful, I say go for it! You (probably) have a lot you can lose, but a whole lot more space, sanity, and intentionality you can gain. This post was brought to you in partnership with PrAna. I absolutely love PrAna because of their dedication to sustainable clothing and business practices, and I am thrilled at the opportunity to work with them on this! As always, my opinions are 100% my own.